New Delhi: The Second Joint Commission Meeting (JCM) between the Republic of India and the Republic of Kenya was held on 6th March 2019 in New Delhi. The Indian delegation was led by Smt. 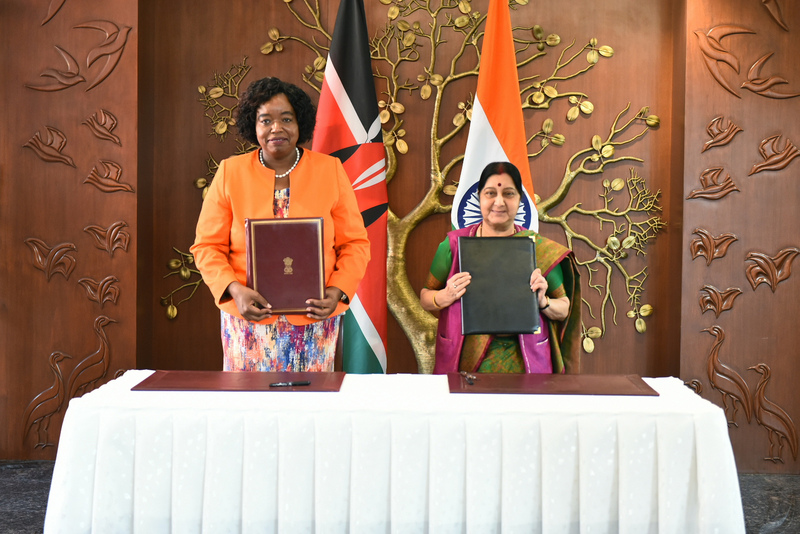 Sushma Swaraj, Hon’ble External Affairs Minister of India and the Kenyan delegation was led by the Cabinet Secretary for Foreign Affairs, Republic of Kenya, H.E. 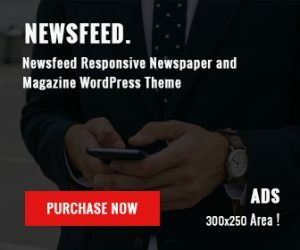 Amb. Monica Juma. JCM was preceded by Senior Officials’ Meeting (SOM) on 5th March 2019. The Commission evaluated the developments since the first session of the JCM, outcomes of the visits of President of Kenya to India in January 2017, decisions of the visit of the Prime Minister of India to Kenya in July 2016 and the meeting of the Joint Trade Committee co-chaired by the Ministers of Industry & Trade of the two countries in August 2018. The JCM enabled a comprehensive review of the bilateral relationship between India and Kenya and also detailed discussions on further strengthening of bilateral cooperation. The discussions focused on building closer cooperation in areas of defence and security, Lines of Credit, capacity building, trade and investment, cultural exchanges and enhancing people to people contact. The Joint Commission reviewed the progress in projects covered under the Lines of Credits. Both sides agreed to closely monitor progress of all development projects and address any bottlenecks to expedite the implementation of the projects. To enhance bilateral trade, both sides agreed to diversify the trade basket. India is the second largest investor in Kenya. 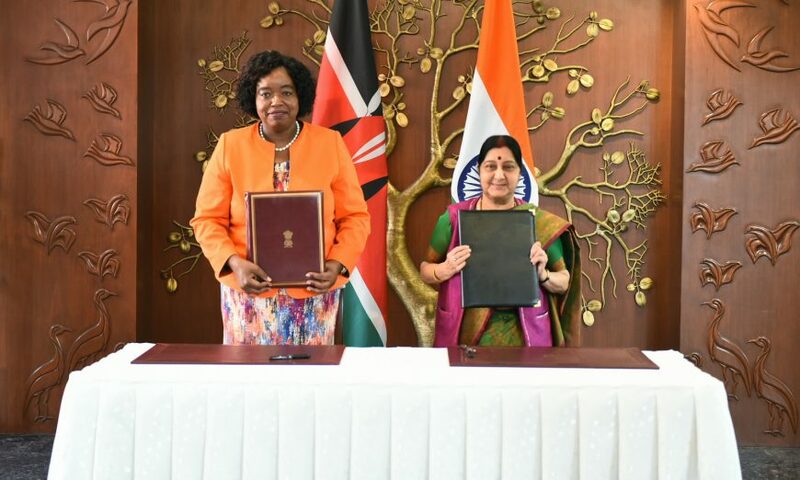 Kenya invited greater Indian investment and business linkages in areas such as agro-processing, food processing, cold-storages, textile, leather, leather products and ICT sectors. The two sides also exchanged views on issues of mutual interest at regional and multilateral levels including cooperation at the United Nations and other international organizations, counter-terrorism and Indian Ocean Region. The understandings and decisions of the Joint Commission were concluded in the form of Agreed Minutes of the Joint Commission signed by the two Ministers.